How can more than one image be assembled on a wall or countertop to best effect, using collage picture frames? It is easy to make a memorable statement around treasured art work or photographs using these wall display accessories in your home or office! Available in every size, price range and configuration, these mounts showcase more than one image at a time in enclosures that are as stylish as they are functional! Whether showing off a vintage record album or a collection of photos from a family vacation or reunion, gallery framing has never been so easy or so fun! These collage picture frames, also known as photo holders, have a clean, modern appearance that looks right in any decor. Hang your treasures on a wall or display them on a countertop or table. Each of these college picture frames has expanded mounting possibilities due to the pre-cut mats they are shipped with. This print collection display, also known as an image holder assembly, helps you brag about achievements or new grandchildren in an understated but impactful manner! In terms of photo grallery framing, this line of merchandise boasts a plethora of features, designs, and finishes, from expensive looking wood grain to more affordable MDF or metal with an attractive buffed finish. Each of these multiple picture frames, like a print collection display systems, are distinguished by quality construction, thoughtful design, and same-day shipping when items are in stock. What are some attributes of these print collection display systems for sale at this website? Countertop or wall mounting display options for "everywhere" hanging! 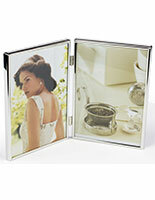 These photo holders have plenty of different opening configurations so the user can customize their presentation of inter-connecting photographs to make presentations more meaningful. Showcase a collection of two to eight images of varying sizes, whether they are part of a series, or simply a creative assembly of special photos. Most of these enclosures are each sold with a mat to provide a display option that is a little more formal. 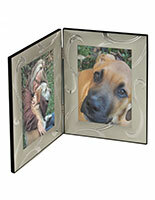 This wall display, such as photo gallery framing, can be sold in bulk for a huge price break for your organization! Outfit your entire showroom or office building at these prices, and provide clients with a glimpse into your values and experiences! 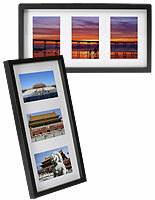 What can framing more than one photograph gallery-style do for my office or home décor? Adding interest to décor is one answer; these units have been thoughtfully designed for function and style. 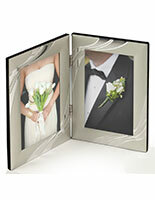 Place snapshots of babies or young children who might be siblings or cousins, side by side in one of the smaller hinged book-style frames, or choose a larger display for graduation, wedding, and reunion pics. Highlight memories from graduations, weddings, births, reunions, or vacations, or choose larger enclosures for a meaningful portrait or credential combination such as military honors or diplomas. 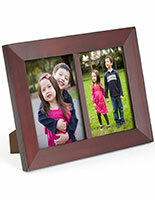 Ready-made framing can enhance family photos or a vintage record album collection!